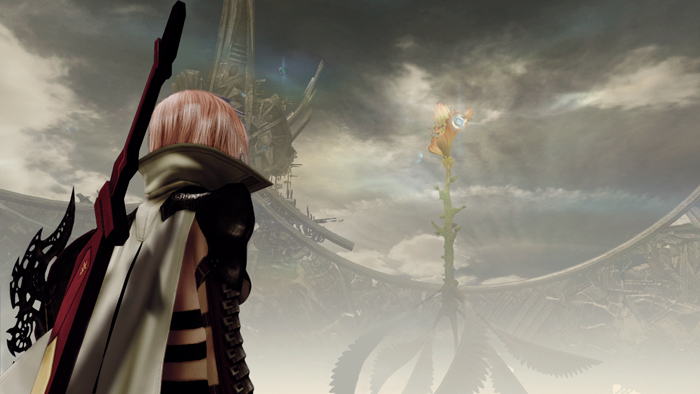 Lightning Returns: Final Fantasy XIII is a race against time to save the world before it ends in 13 days, or does it? Initially starting with only 6 days left, completing main story elements will eventually extend the worlds lifespan to 13 days. Though with numerous side quests and souls to save, it is entirely possible to achieve a 14th day. There’s been a lot of rumors floating around as well as others just bypassing the details all together. So I present to you the definitive guide for HOW to get to the 14th day. The life force of the planet is directly tied to Yggdrasil, The World Tree. Each side quest has a difficulty rating of 1-3 stars. Each difficulty has a numerical value of .02, .04, and .08 respectively and you want to keep questing until this adds up to 1. Now there are additional minor rules and change ups that are unbeknownst to anyone outside of the programing side, but more or less you want to strive for that 1. So side quest, as often as possible, multitask, and remember that the quality of the quest is still important. The extra day you earn falls before the Final Battle – thus making ‘The Last Day the 14th rather than the 13th – and is basically one large underground dungeon in Dead Dunes. This dungeon is filled with immensely powerful monsters as well as the frightening ‘Last Ones’. For those who don’t know, ‘The Last Ones’ – or Omega Forms – are basically the last of their species and thus the strongest. You can tell an Omega by their purple coloration. 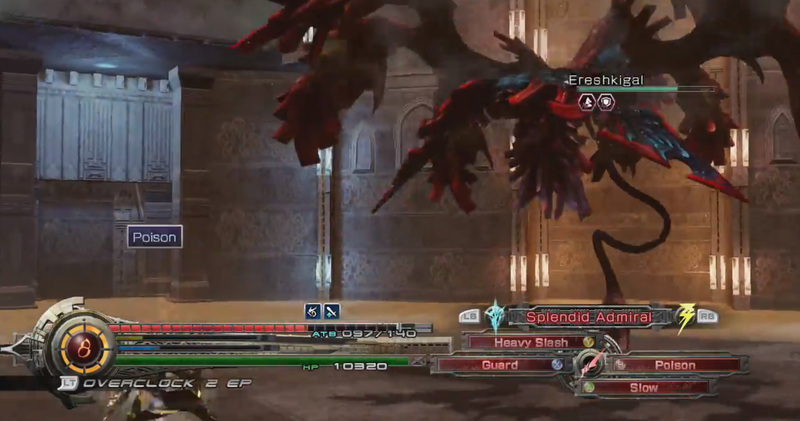 The final boss in this dungeon is the chaos monster known as Ereshkigal. This Cieth-looking flying monster is not for the faint of heart. So if you’re going to go through all the trouble of reaching your 14th day, make sure you’re prepared. OH, and one more thing. While you’re in this dungeon the clock doesn’t stop for anything. Whether you’re running around or fighting, you only have one in game day to do everything you want in this dungeon. So again, make sure all your work will count. 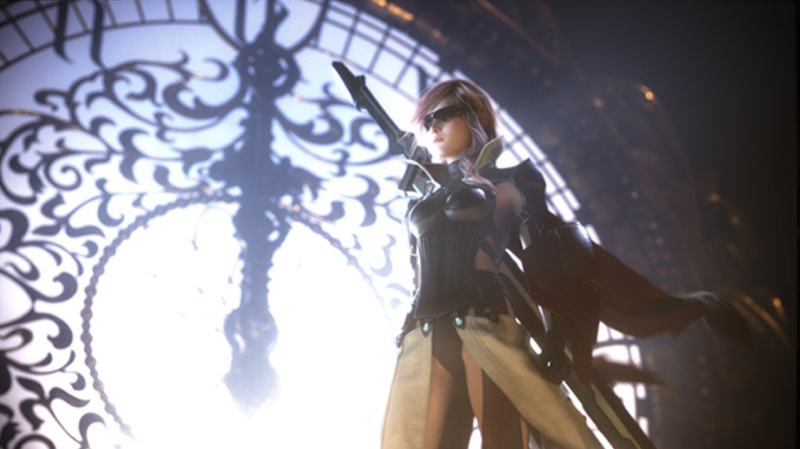 As you’ve probably heard by now, Lightning Returns: Final Fantasy XIII is designed specifically for additional play throughs on New Game +. These allow you to start a new game with all your abilities, etc should you fail to save the world or complete it and just want to go again. Depending on how you start a New Game + determines on what you get to keep, but whichever way you did it it’s important to take not of these carry overs. Initially I wanted to achieve the 14th day on my first play through, but after learning about what awaits me in the 14th day I think I might want to save it for a later play through. If I’m going to go through all the trouble of reaching this dungeon, I want to make sure all of my equipment, schema, and spells are maxed out. Hope you found this article helpful. My full review will be coming as soon as I know how I feel about this whole deadline system. There certainly are some perks, but overall I just feel like its forcing people to rush through a game rather than sit back and enjoy it. This is why i wanted to get to the 14th day dungeon on my first play through initially: get all of the rushing out of the way, and then just enjoy my second play through. Update: I have since completed the 14th Day on my first play through and learned that it is doable with the right heavy farming and training. In order to speed things along, be sure to wipe out as many Last Ones as you can before reaching this Dungeon. This will not only give you valuable equipment, but will also familiarize you with various battle methods. For a full rundown of defeating the monstrosity awaiting you in the pits of this dungeon, read my Guide for Defeating Ereshkigal.